This years trend is arrows, feathers and aztec prints reflecting a southwestern style. Carry this attractive solid black duffle with reversing white arrow pattern bag. Big on style, with a comfortable cotton quilting. Removable snap on bows, gingham trim ribbon front. Lined with inside wall and open pocket. Supported bottom and zipper closure. 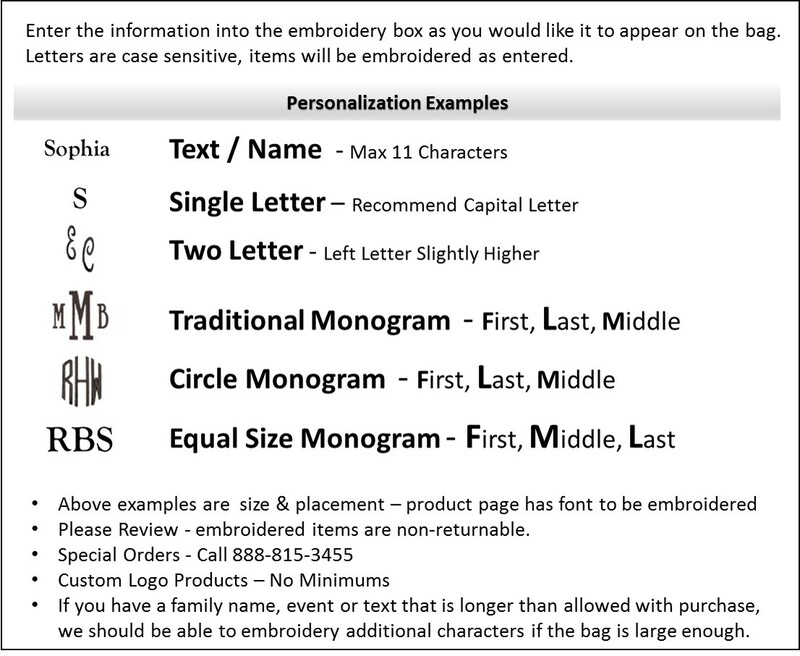 Add your personal monogram in choice of contrasting colors. Search item ACE-ARB3907 embroidered quilted tote bag for a matching travel set. Personalized southwestern duffle measures 20" x 11"x 10" across bottom.